Lynda Berger is a Registered Nurse, and Board Certified Holistic Nurse. She is currently working toward a Holistic Health and Wellness Nurse Coach Certification and has nearly completed the 60-hour Wisdom of the Whole coach training program. 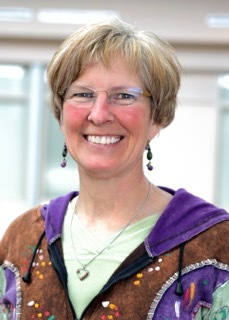 She is on a holistic care team at Mercy Regional Medical Center in Durango, Colorado. Her department is in Integrative Care Services, and they are known as the TLC Team (Touch, Love and Compassion). The TLC team goes everywhere in the hospital to help patients with pain, nausea, anxiety, and emotional support by non-pharmacological means. We utilize tools such as: conscious breathing, guided imagery, music, aromatherapy, therapeutic listening, energy work, massage, affirmations, and our intention and presence. The team was created in 2002, and I have been a member since 2010. This particular day I was called to PACU (Post Anesthesia Care Unit) where patients recover from surgery. The patient I was requested to see was in 10/10 pain. The patient was frustrated, agitated, critical of the PACU nurse, and questioning repeatedly why the pain couldn’t be better controlled. The PACU nurse…click here to continue reading. This entry was posted in Featured, Grads in Action, Uncategorized, WOW Blog and tagged featured graduate, nurse coach, pain relief. Bookmark the permalink.